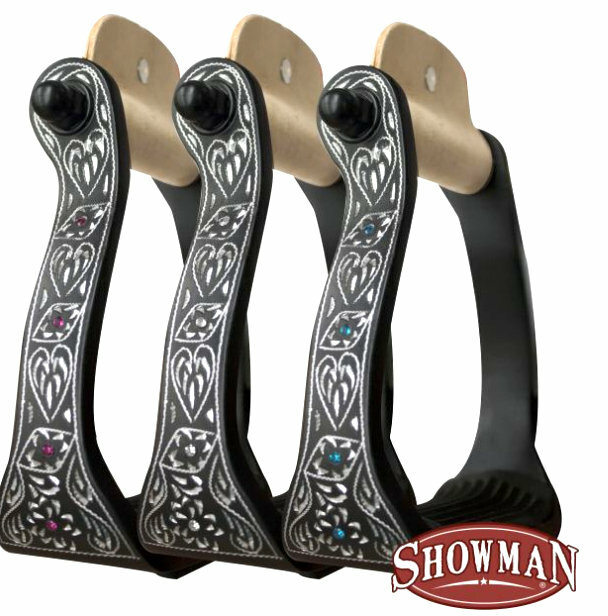 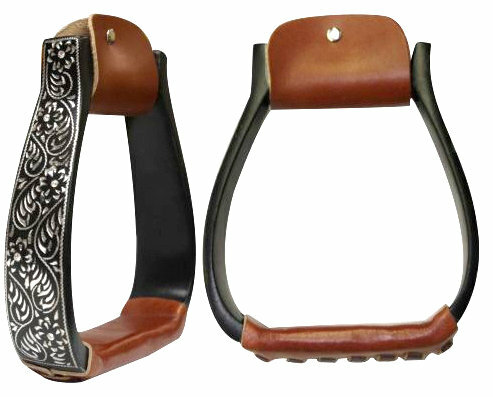 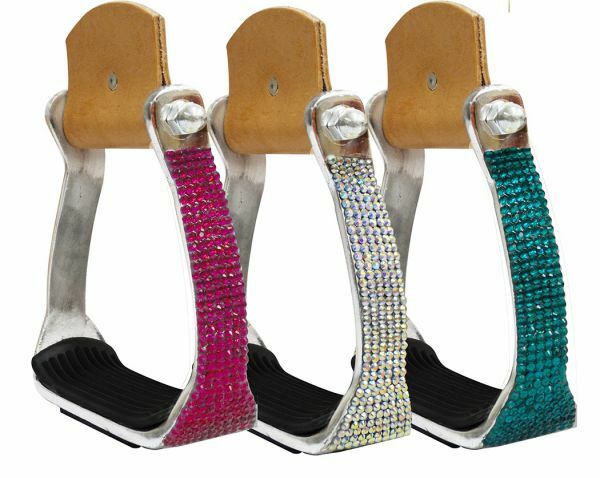 #175564 Black engraved aluminum stirrups with rhinestones. 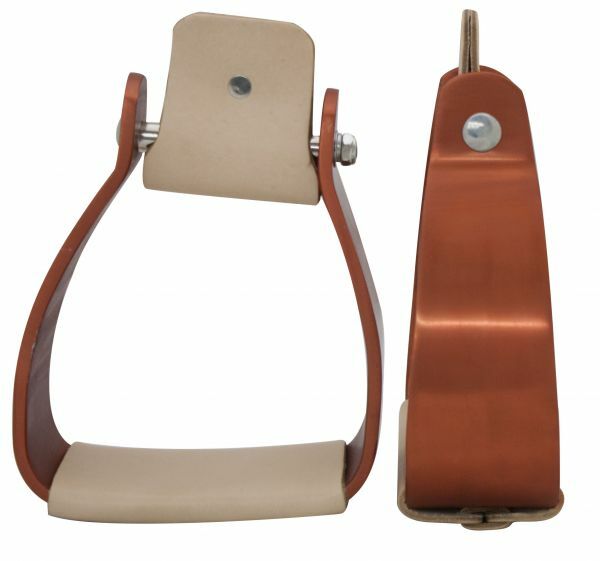 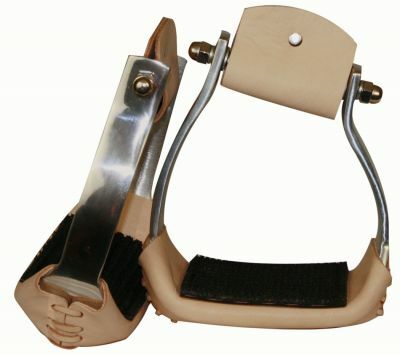 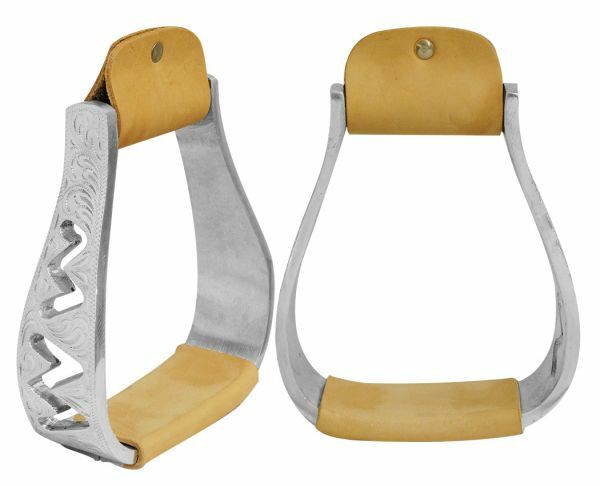 #221271KL Light Weight Black Aluminum Bell Stirrup With Silver Engraved Accents. 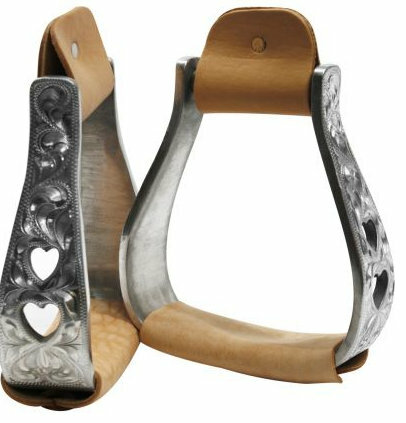 #22132 Aluminum engraved off set stirrups. 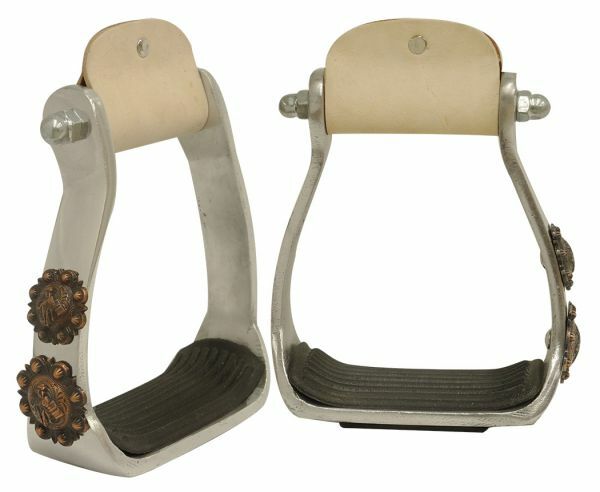 3" neck, 5" wide and 2.25" tread. 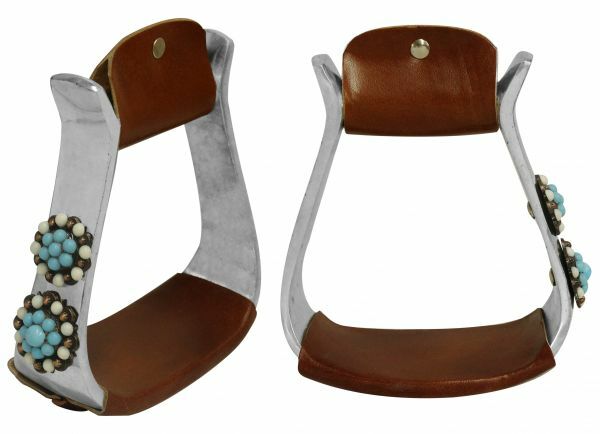 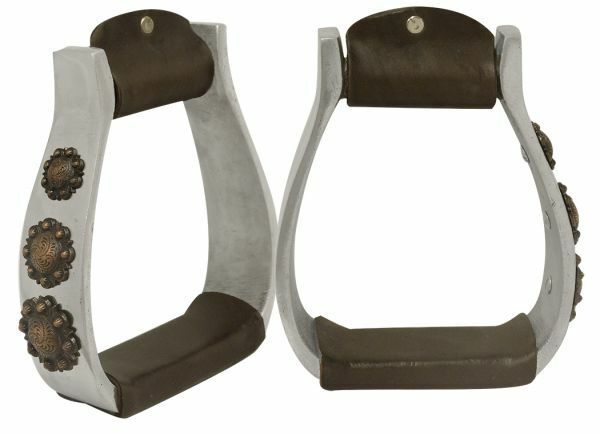 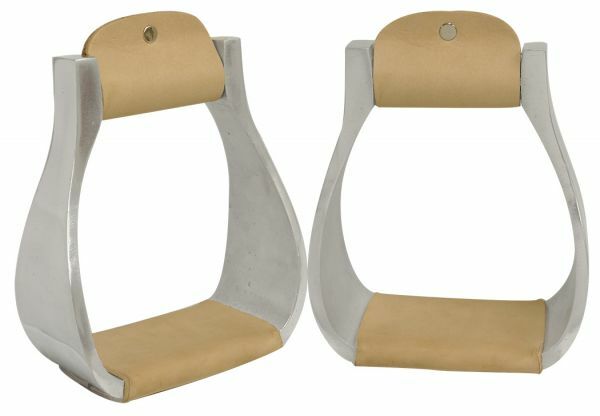 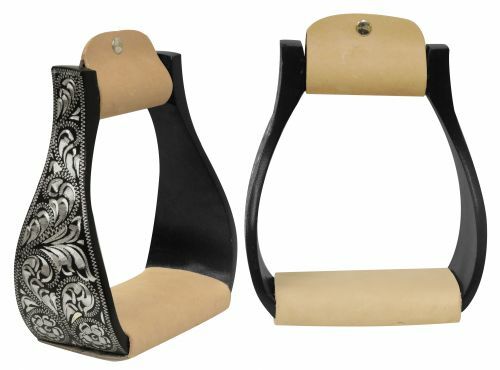 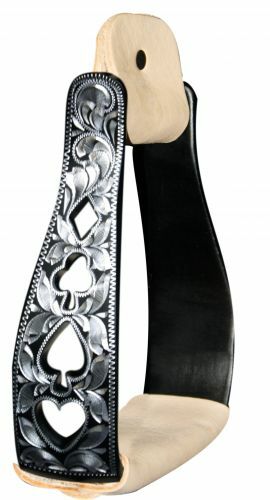 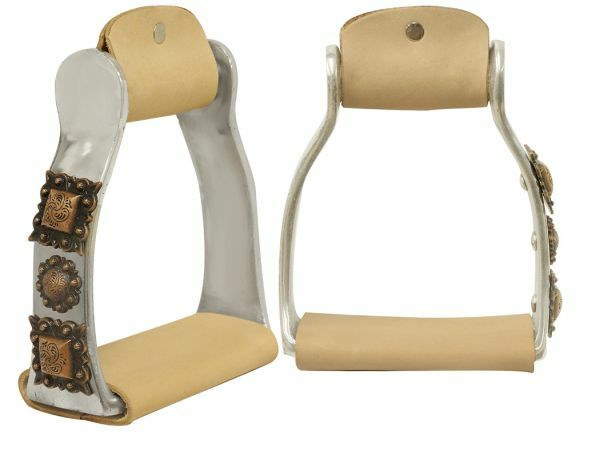 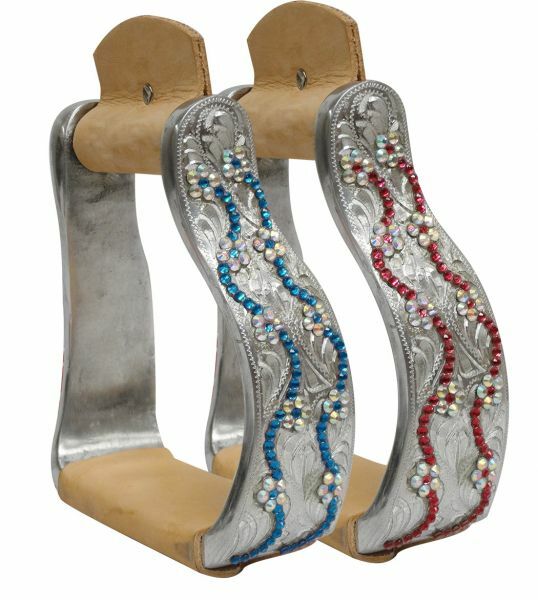 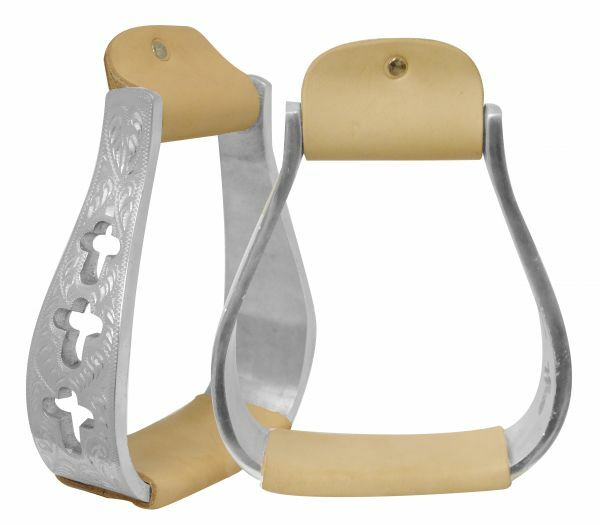 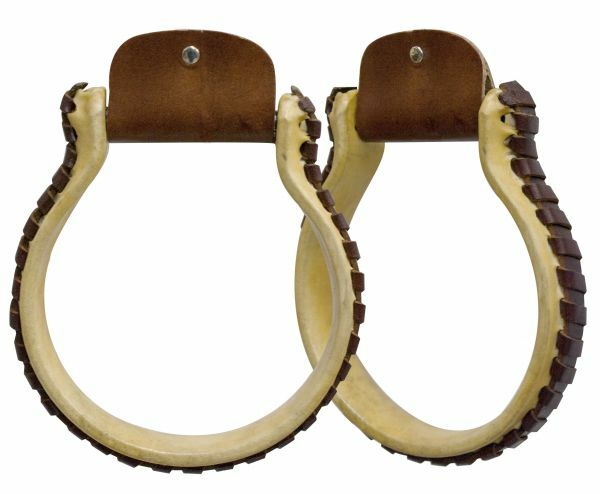 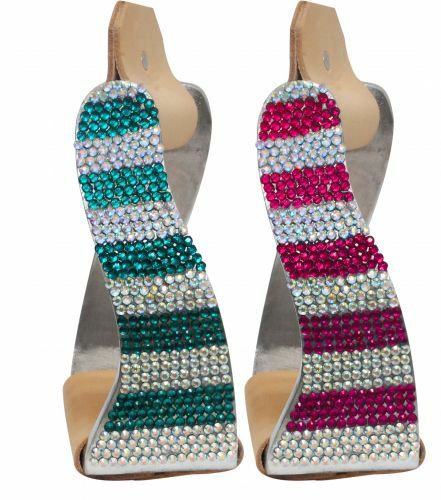 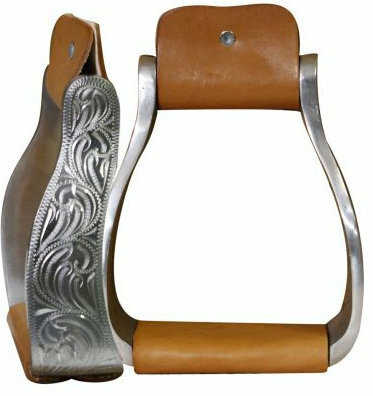 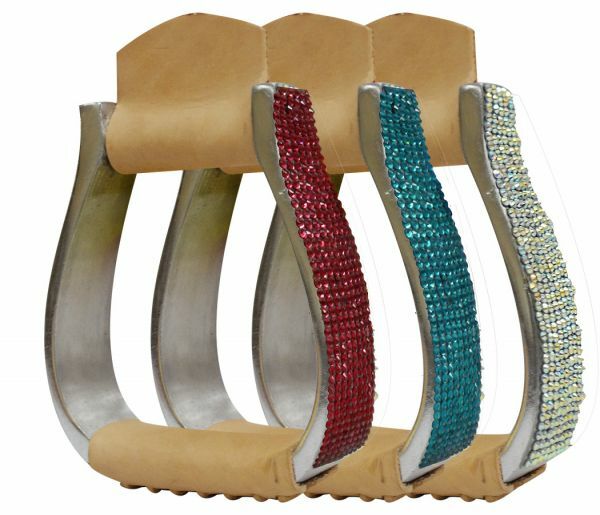 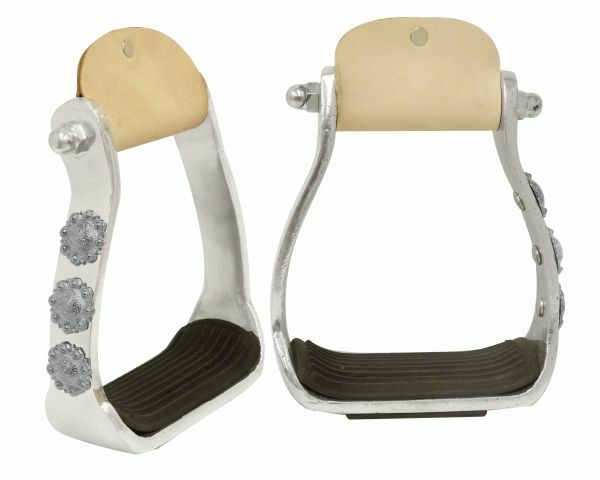 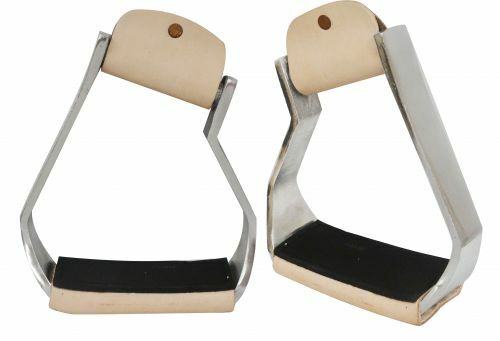 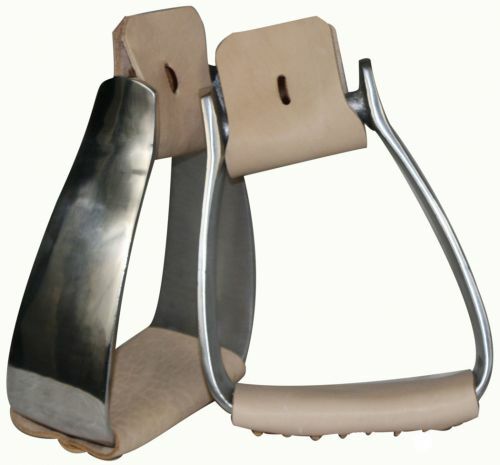 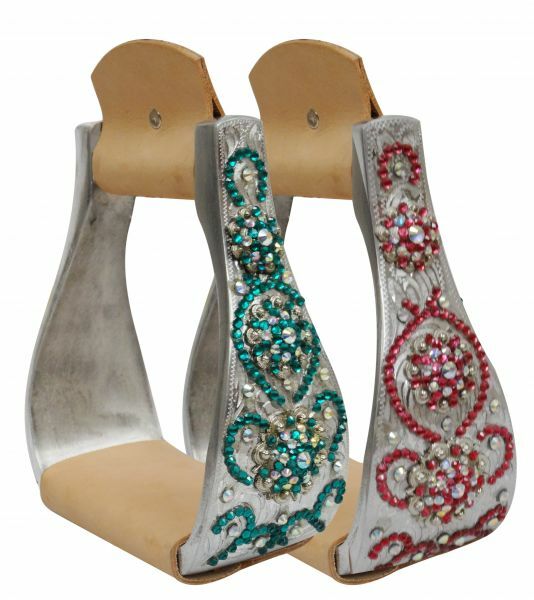 #221361 aluminum polished engraved stirrups with cut out heart design.